TORONADO (IRE) (Bay 2010-Stud GB 2015, Aust. 2015). 6 wins-3 at 2-to 1m, Royal Ascot Queen Anne S., Gr.1, Goodwood Sussex S., Gr.1. Out of a half-sister to SW Casamento. Sire of 41 rnrs, 16 wnrs, inc. SP Watan, Baylagan, El Ingrato and of Droit de Parole, Mon Ouragan, Topical, Yolo Again, Eesha's Smile, Almufti, Festina Plente, Illusions, Korcho, Name the Wind, Praxidice, Revelstoke, Tularka and of the placegetters Come Back, Elidjana, etc. His oldest Aust.-bred progeny are 2YOs. Bahamas (f. by Teofilo). Winner at 1600m, A$95,825, 2d SAJC South Australia Fillies Classic, Gr.3, MVRC Alexandra S., L, 3d SAJC Schweppes Oaks, Gr.1, VRC Denis Walter Afternoons 3YO Trophy. Exodus (g. by Bernardini). 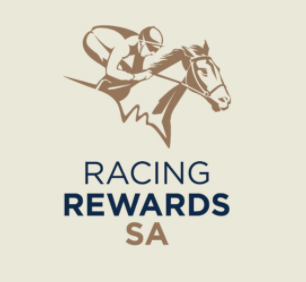 6 wins-1 at 2-to 1550m, A$269,320, SAJC Sportingbet H.-twice, Adelaide Cup Raceday H., RSL Care SA H., Ryan Ferguson H., St Andrews Hospital H., 2d SAJC Christmas H., L, Hindmarsh Plumbing 2YO H., 3d SAJC City of Marion S., L, Schweppes H., Brad Allan 2YO H., Carbine Club H., NHP H., Holdfast Insurance H., 4th SAJC Breeders' S., Gr.3, HC Nitschke S., L.
Kemeri (f. by Denman). Winner at 1400m in Aust. ST TRINIANS (Black Hawk). 8 wins. See above. Besofabuleux. 6 wins-1 at 2-to 1300m, 2d SAJC Finnis Lodge H., 3d SAJC Schweppes 2YO H.
Hermosa. 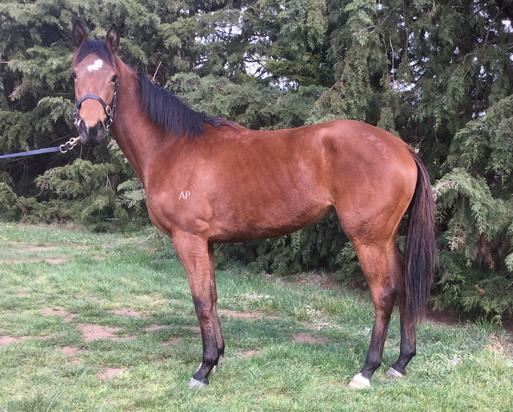 Winner at 1200m, 3d MRC (Mornington) Hyland Race Colours P.
Polynesian. 11 wins to 1400m in Aust. Robeson. Winner at 2050m in Aust. Zany. Placed at 3 in Aust. Lang Jai - Prime Witness (H.K.) (Euclase). 9 wins at 1200m, 1400m, A$4,000, HK$9,139,495, HKJC Amah Rock H., National Day Cup, River Verdon H., Devon Loch H., Ladies' Purse H., Canberra H., North Island H., Tai Wo H., Hong Kong Park H., 2d HKJC Happy Valley Trophy, L, National Panasonic Cup, War of the Genders H., 3d HKJC Sprint Trial Trophy, BTC Vitanza Tyre & Mechnical H., HKJC Cuckoo H., 4th HKJC Chairman's Sprint Prize, L.
Jeunealistic. 11 wins from 1200m to 1600m, A$187,945, SAJC Myer Centre H., Myer Fashions on the Field H., Scott Group of Companies H., Morphett Arms Hotel H., Pewsey Vale H., Allan Scott Park Morphettville H., Spring Gully Foods H., 2d SAJC Holdfast Insurance H., Ian Filsell Memorial H., Sportingbet H., Tapestry Wines McLaren Vale H., Homebasics Glenelg H.
Visual Impact. 9 wins to 1400m, A$161,160, SAJC Le Messurier Timber Company H., Irish Race Day H., Yalumba H., 2d SAJC Distinctive Homes H., Holdfast Insurance H., Regency Showerscreens & Wardrobes H., Christmas Twilight Races H., Provideo H., Anthony Peressin Memorial H., Allan Scott Park Morphettville H., Boag's Draught H., Oakbank RC Django & Juliette H.
Our Belvoir. 6 wins to 1200m, A$104,240, SAJC Colin Harvey 95th Birthday H., Medallion Homes H., 2d SAJC Boag's Draught H., Tattsbet H., Oakbank RC Daiquiri King H., 3d SAJC Australia Day H., Tattsbet H., Perri Cutten Strathalbyn Cup Day H.
Besotted. 3 wins. See above. Often. 2 wins at 1900m, 2100m, 3d SAJC Members H., Tabradio 2YO H. Producer. Lang Loi. 2 wins at 1100m, 1400m in Aust. Producer. Madrid. 2 wins at 1600m, 1700m in Aust. Haloed. 7 wins-2 at 2-from 1000m to 1600m, SAJC Drawn H.
Good Looker. 7 wins. See above.